Alternative Dividend Policies for Big Department Stores, Inc. 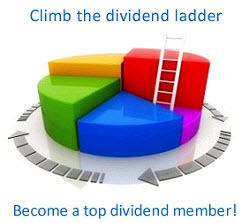 Cyclical dividend policy: Dividends are a constant proportion of earnings at each pay date. Stable dividend policy: Dividends are a constant proportion of earnings over an earnings cycle. compromise approach, the debt-equity ratio is viewed as a long-range goal. It is allowed to vary in the short run if necessary to avoid a dividend cut or the need to sell new equity. CHAPTER 18 Dividends and Dividend Policy run target payout ratio, and it is the fraction of the earnings the firm expects to pay as dividends under ordinary circumstances. Again, this ratio is viewed as a long-range goal, so it might vary in the short run if this is necessary. As a result, in the long run, earnings growth is followed by dividend increases, but only with a lag. One can minimize the problems of dividend instability by creating two types of dividends: regular and extra. For companies using this approach, the regular dividend would most likely be a relatively small fraction of permanent earnings, so that it could be sustained easily. Extra dividends would be granted when an increase in earnings was expected to be temporary. Because investors look on an extra dividend as a bonus, there is relatively little disappointment when an extra dividend is not repeated. Although the extra-dividend approach appears quite sensible, few companies use it in practice. One reason is that a share repurchase, which we discuss next, does much the same thing with some extra advantages. A firm's long-term desired dividend-to-earnings ratio.